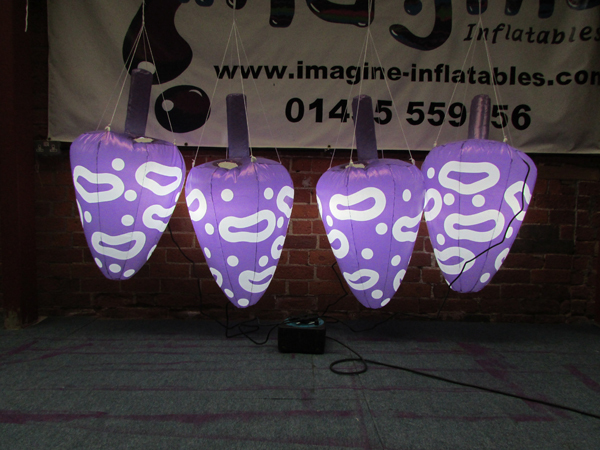 One of Staceys latest projects was to design and create these inflatable mushrooms. They are being used in a nightclub environment and are lighted. This is a really fun way to advertise and make your party pop! We can make any design like this, and they can easily be suspended, lighted and inflated with just 1 x mains powered plug.